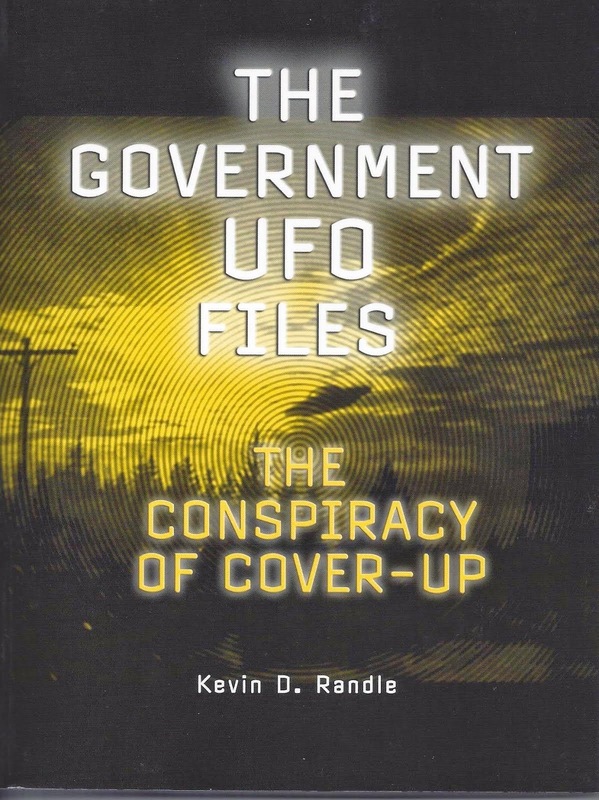 In the first of two statements by Hendry, the context is one nestled among numbered CUFOS UFO / IFO cases (details omitted as not relevant to the point, which is that they were numbered). Yet the Venus story itself has no case number. In fact, it doesn't even rise to the level of an actual story but is more of an aphorism or a quip. I can answer the alleged anonymous airport official's misleading question: ZERO. Yes, that's right, the story is a complete and total fiction. The planet Venus cannot radio for clearance to land -- I mean to even have to explain this is ridiculous, Venus is an inanimate object incapable of intelligent thought and communication, radio or otherwise. An aircraft that tries to land at a busy airport in a restricted airway without obtaining radio clearance first is either an emergency due to radio failure or disability of the pilot, or it is a potential hijacking or terrorist aircraft or some hostile attack activity. It is an extremely serious matter, not to be laughed off as just "lights in the sky playing tricks." The airport radar will have been checked by controllers to verify that an aircraft is coming in on a standard approach path and/or is a hazard to other flights. Repeated efforts will have been made to establish radio contact. When there is no response, swift emergency action will be taken. It would be in all the newspapers and the subject of official FAA or NTSB investigation and by similar agencies in other countries if it ever occurred there. The AF would be alerted to scramble fighters to intercept unless it was clearly just a pilot in trouble and not suspicious or hostile action. Having something like this happen at night is an especially dangerous situation. We would know all about it. Hendry would have been able to provide names, dates, places, the whole works -- if anything like it had actually ever happened. And why only Detroit airport anyway? Doesn't Venus radio other airports for clearance to land??? What about Jupiter and Sirius, don't they radio too??? The more I thought about it the more I was struck by the absurdity of the story insinuating that Detroit Airport controllers had many times "cleared" the planet Venus to "land" at the airport. This seems to be something of a debunker article of faith, a prooftext for the stupidity of even trained air traffic controllers. Yet it is not even claimed to be a UFO sighting. We are supposed to believe that Venus just shines brightly in the sky one evening and that busy air traffic controllers then become mesmerized by the sight and actually go through their procedures to "clear" the planet for landing -- the specifics of those "clearance procedures" being conveniently hazy in this debunker thought-balloon. It is a grossly embarrassing act of folly -- if it ever happened. Therefore, this cautionary tale supposedly tells us that UFO cases at airports can just be similar stupidity and it instructs us on how stupid people can be if even air traffic controllers can make such mammoth mistakes of "misperception" (whatever that loaded term really means, which I contend is a nonsense term anyway, but that's another story for another day). But in reality it is an example of a debunker hoax. Yes, debunkers, can and do perpetrate hoaxes, just like the Adamskis of the world. But it is a category of event or fabricated non-event that is not recognized or studied or debated. There seems to be the attitude that debunkers are just skeptics trying to defend "truth," so by very definition they don't engage in untruthful or fraudulent hoaxes, right? When I read what Hendry wrote, though, I was bothered by a number of things besides the patent absurdity of the story, such as the fact it is not even an assertion of fact but a question, an unanswered question at that. Was Hendry's source simply playing a rhetorical game? Was it a joke inspired by the similarity of the words "plane" and "planet"? No UFO report is attached to the story, as I said, nor any IFO report. No date, no names of alleged witnesses, whether FAA controllers or not. No "sighting details." It is clear to me that the story was calculated to produce shame, and the shame was intended to shut down all thought and critical faculties. The shame has the effect of allowing misconceptions, stereotypes and prejudices to fill in the vacuum left by shutting down thought -- in this case to forget everything we ought to know about airport procedures, even from watching the movies or television. Debunkers apparently expect that it will be too embarrassing for critics to ask questions because it only draws more attention to the uncomfortable (alleged) "fact" that air controllers cleared a planet, Venus, for landing many times. Embarrassment and shame obviate the need to supply any documentation -- no one dares bring up the subject to ask. We are supposed to accept the story without question and let it have its intended effect, in this case a very deceitful one. The Venus-cleared-to-land story is patently so false, so fraudulent, so outrageous, that it is amazing to me that it hasn't been exposed sooner. The shaming effect evidently shuts down all thinking, stops all questioning. This raises many disturbing questions: Who in the FAA at Detroit made up this obviously false story? Why did Hendry not question the story or attempt to get documentation for at least one purported instance? Why hasn't anyone questioned this fraudulent and outrageous debunker hoax before? Here we are 34 years after Hendry's book was published so why hasn't anyone blown the whistle? Hendry's book has been the darling of skeptics and debunkers, who supposedly epitomize "critical thinking" yet seem to have trouble critically thinking about their own "side" (a point that Jerry Clark has been making for years). Maybe there is some obscure review somewhere that has called attention to this bogus story and maybe the many other huge errors of astronomy, statistics, math, logic, etc., in the same book. And by the way, the falsity of this story does not mean the opposite is true, that controllers never make mistakes, never mistake IFO's for UFO's, just that they never foolishly radio clearances to land to unidentified aircraft or objects in the sky. And my position on ETH needs to be reiterated here lest I be misunderstood: The falsity of this story does not prove that UFO's are alien spacecraft. I do not accept or "believe in" ET or alien visitation, never have, but others are welcome to draw their own conclusions as to what the unexplained UFO phenomenon may represent. I agree with most of Jacques Vallée’s 5 numbered arguments in his “Five Arguments Against the Extraterrestrial Origin of Unidentified Flying Objects,” JSE, 1990, vol. 4, no. 1, pp. 105-117, with corrections and modifications, and additional reasons of my own, again a discussion for another time. What that meant, simply, was that an alien race that wanted to invade could soften us up by dropping asteroids on us. Think of all the documentaries that have aired in the last ten years that tell us about “asteroid apocalypse.” An asteroid some 300 feet in diameter (or something about (100 meters) would do incredible damage. Move to something about a half mile, and continents disappear, the global climate would be shot for centuries, and billions would perish. Go much larger than that and you have an extinction level event. Pushing asteroids around wouldn’t be all that difficult for a spacefaring race. And rather than pushing a dinosaur killer (yes, I know that the dinosaurs probably weren’t extinguished by an asteroid, but the term is great) into an orbit that would collide with Earth, they could push hundreds of smaller ones into that orbit. It could turn out to be carpet bombing the world with no danger to themselves. The point is that given our current technology, we simply couldn’t reach out to touch them. If they are inside of the orbit of the moon, then we could shoot at them, but our chemical rockets would be moving slowly enough that they could intercept and destroy them regardless of how many we launched and right now there aren’t all that many when talking interstellar war. Or, they could just move out of the way. Or, throw rocks at the missiles. So, if the aliens wished to invade, given our current technology, they would win. If they decided they needed to occupy Earth, they certainly could do that as well, but why expose themselves to our retaliation. Why not just sit there in orbit and dictate their terms to us? If we chose to fight back, throw another rock. Strategically speaking, they have no motivation to engage in a fight especially one on the planet’s surface. Independence Day never dealt with that question. “V” in its various incarnations did, to a degree… the “visitors” wanted to engage in some sort of trade or communication with a hidden agenda. Damon Knight’s story, “To Serve Man,” (which also a Twilight Zone episode) dealt with the reason for a landing rather than an invasion. But, at least there was a reason for the contact. But without any additional reason, they have no motivation to land or to invade. If we launched something into orbit to attack them, they could withdraw to the orbit of, say, Saturn, and it would take us years to get there. They could evade us simply. And then attack at their leisure. In the end, the answer to the question is that he who controls the high ground wins the battle. We can’t actually fight a battle in space, which means the aliens have the high ground. Or… as was learned in the Iraq war, Iraqi tanks could engage at one mile. The problem? The Abrams tanks could engage at two miles. In other words, they could stand out of range of the Iraqis and destroy their armor. Such is the situation we would face with the aliens in orbit. We couldn’t successfully engage and we would lose. Well, looks like this time it was I who screwed the pooch. I trusted a friend with information, which he is now outraged that I dumped on him, but that wasn’t his original reaction. The big regret here is that it is Tom Carey who gets caught in the crossfire which is not of his making. 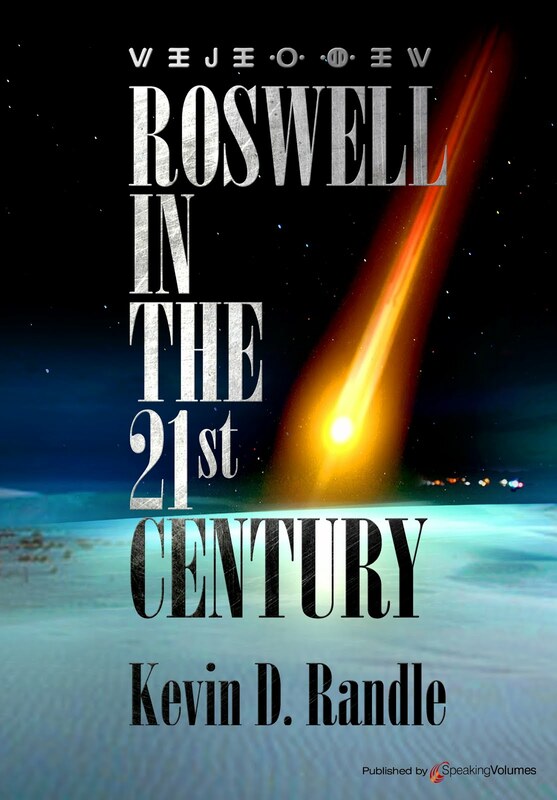 Some two years ago, Tom approached me to do the “ultimate” Roswell book. I had already approached a publisher with a similar idea, but that publisher wasn’t interested in it, thinking that the market was saturated and besides, they liked their books to be about several cases rather than concentrating on one. That solved a dilemma for me. We discussed the direction that we wanted to go and I think our opinions were a little different. I wanted to be sure the book was properly and completely resourced and Tom agreed, but he didn’t want the book to be written for skeptics. I thought we should follow the “what do we think, what do we know and what can we prove” adage. Tom, gentleman that he is, didn’t want to leave Don out of it and although we hadn’t discussed it, told Don of the project. We all met sometime later and talked about what the project would need. I said that for it to work well, we would need to find something more than additional testimony. We would need some documentation, some kind of confirmation that went beyond additional testimony, but I had no idea what that would be. As a side note, I did learn of a woman who claimed to have a diary written in 1947 that mentioned some of this. That was what we needed and I pursued that only to learn, in a conversation with Tom, that he’d actually been to the woman’s home in New Mexico and the diary, if it existed, was buried in an out building that was filled with snakes and scorpions, two of my favorite things. Finding myself having completed my contractually obligated book, I thought that I would begin to put together the information for part of the investigation, which was an analysis of MJ-12. I don’t know how we could do anything unless we looked deeply into this controversy. It ran more than fifty pages and had 175 footnotes. I also completed a long piece on Project Mogul in which I actually found a few things that had not been discussed before, most of them coming from the Air Force report on Roswell. I think the Air Force just threw in all this material without looking at it. Some good stuff is hidden in there. Like the MJ-12 report about Mogul was long and heavily footnoted. Several of us were continuing to interview witnesses, or to be technically correct so that I’m not accused of lying again, men who were stationed in Roswell in July 1947. These were men who had not been located before and who had not come forward. The results were mixed with some not knowing anything and others adding to the body of testimony. At this point, as can be imagined, all were in their eighties. We were chugging along, finding some new witnesses, developing some new information and I thought, looking for that sizzle that would bring this all home. One thing that must be said is that we were scattered all over the United States and into Canada. We communicated through email and telephone and just a few times in person. That made coordination a little difficult, but not impossible. Then, earlier this year, Rich Reynolds published his piece about slides that had been found showing alien bodies, or I suppose, more accurately, a strange creature that might be a deformed human. Nick Redfern was the source of the information, which I had never heard until I read it on Rich’s blog. I sent Nick an email and he said I should call, which I did. I have no idea if any of you have been watching the nonsense over at Rich Reynolds’ UFO Iconoclasts blog. He is suggesting that he now has inside information of the Roswell events, which he will release in the near future… However, I noted today that he is suggesting that we all have entered into some sort of legal entanglement to cement our legacy and that we are prevented from disclosing what we know. I have entered no such agreement with anyone and have no inside knowledge that I have hidden from the group. If any one of you have done so (and no I don't think you have) it would not be legally binding on the rest of us. …. I don't know the purpose… Therefore, my advice is to ignore him completely (Ahh, had I just taken my own advise). And that is the extent of my investigation. I talked to Nick, learned a little more about what had been written, and then received an email advising me that the situation was being handled. There was nothing more for me to do about it. Periodically, Rich would publish a little more, but he didn’t add details and seemed to be averse to saying anything that might screw up the investigation. It was just a periodic mention of this, most of which were observed. In August I agreed to do the podcast with Paul Kimball. By then I had heard little more about this. It was not my investigation and there simply was nothing that I could do to further it. My intervention might have screwed things up, and while I thought of this as a rather unsophisticated “alien autopsy” I also thought the investigation should continue. I did mention to one of the team members that I believed the slides to be a hoax. After that podcast, I noticed that Kimball was being criticized for not asking me about the slides. As I have said, I would not have answered the questions because I didn’t believe the information belonged to me. It belonged to those who had conducted the investigation and who were working with the witnesses. In fact, I didn’t know that the nether regions of the creature or body had been covered until Nick Redfern mentioned in it his latest posting about this a couple of days ago. I thought the criticism was unfair, so I sent Paul an email explaining the situation to him. I thought he could be trusted to keep the information private. In fact, on August 29, he wrote, “Thanks for sharing it with me, and of course I will keep it in confidence.” I will note here that his assurance lasted nearly a month. And although I had learned about the slides from Nick and Rich, I felt that the information belonged to others who had originated the investigation. I was not comfortable in publishing anything for two reasons. One, it was proprietary and second, I was not confident that it was a real event, meaning that the slides had not been authenticated. It was about the time of the podcast that I said that I didn’t think the slides were authentic, meaning that there were slides, but that the image was not of anything real. At that time I received, unsolicited, an email about an analysis of the slides, suggesting that some analysis had been accomplish back in March. It added something of a note of authenticity, so I mentioned all this to Paul. But then I realized that this was not an analysis of the slides, but a proposal of what sort of information was necessary to build a case for authenticity. I sent a second email reporting this, but note, I’m not participating in the investigation, I’m merely a recipient of the data. I hadn’t asked for it, I hadn’t interviewed anyone to get it and I hadn’t even been given access to the documents about it. I had not seen the slides in any form. Then came Rich’s latest update on the slides. I received quite a number of emails about them, and replied to some of them. In a response that so outraged Paul, I said that I hadn’t seen the slides nor had I participated in the investigation. I knew about it but I hadn’t participated. So, in what I guess is the classical definition of situational ethics, Paul decided that if I lied about this, he was under no obligation to hold my communications with him in confidence. I don’t understand how this would nullify that agreement. Even if I had lied, he had agreed to hold the information in confidence. Then, to prove his point, he threatened to publish more of our confidential communications. Now, I could prove that I had not participated in the investigation, but to do so would require me to violate a confidence or two in a way similar to that of Paul, but I won’t do it. In fact, he also said that I would have to talk about the nun’s diary, but I thought that had all been covered earlier. The tale was told by Bill English to Don and then to me in Alamogordo. 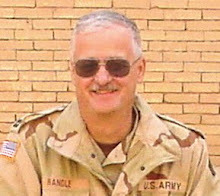 English was reported to be a former Special Forces officer and a Vietnam veteran. We, meaning Don and I, also talked to a woman in Roswell who was supposed to be a nun, or former nun, who had seen the diaries and remembered the entry. But it turns out that English wasn’t in the Special Forces, wasn’t an officer, and apparently wasn’t a Vietnam veteran. We’ve chased the diaries for two decades, and if they existed, I now believe them to be irretrievable lost. Since I had reported all this earlier, I’m not sure why it is an issue. I did suggest to Paul that I had come to the conclusion that this re-investigation simply wasn’t working and that I was going to alert the team about this. I wanted to email Tom first because I thought he deserved a personal note from me. I probably wrote a half dozen versions and finally sent one. After more than ten days, I received an email from Tom in which I noted he was a little annoyed with me… but what the hell, I expected that. I just hoped that we could remain friends. Apparently all this was not fast enough for Paul and ironically, I received the reply from Tom only a couple of hours before anonymous posted his article that lead to all this unnecessary turmoil. To pile on, now he publishes an old letter of mine, written, what, nearly twenty years ago. This doesn’t need to be rehashed. What is the point, other than to attack someone he might not like? Apparently, he believes he needs to select my friends for me. Here’s the point that some don’t seem to understand and is the real issue. I confided in Paul and he agreed to that. He kept the confidence for nearly a month. It takes no courage to violate an agreement and what I seem to be getting hammered for is not revealing all I knew immediately because some of it came in confidential agreements. I will again note that I know of no instances in which Tom or Don violated any agreements they had made. I will note here that I was not allowed to withdraw gracefully from the project and I believe this has irreparably damaged my friendship with Tom Carey. This I deeply regret. And, that it has brought up an issue about Don Schmitt again, I regret. Say what you will, he is a charismatic man who has a deep knowledge of the field. We had worked around our differences, but Paul Kimball is outraged that he wasn’t chased away twenty years ago. To my team members, I apologize for screwing this up. I tried to do what I thought of as right, but, of course, that didn’t work out. I tried to avoid this controversy but just underscored it. To Tom, I apologize for outing this whole thing by trusting someone I thought of as a friend and to Don I apologize for unnecessarily opening an old wound. This is much longer than I planned, but it should be clear that all this came about because a confidence was violated. Regardless of the reason, that is the bottom line here.